Cleft lip and palate is the most common facial birth defect in the world, with approximately 1,200 children in the UK born with a cleft each year. Our Scar Free Ambassador, Ana Hobbs, whose daughter Abigail was born with a cleft palate, is a vital member of the Cleft Collective Advisory Panel. The Panel oversees The Scar Free Foundation Cleft Gene Bank & Cohort Study at the University of Bristol. With over 2,000 families recruited to it, the study provides unprecedented insight into the genetic and environmental factors behind cleft, will inform new treatments, and help us to better understand the life-long impact of cleft. 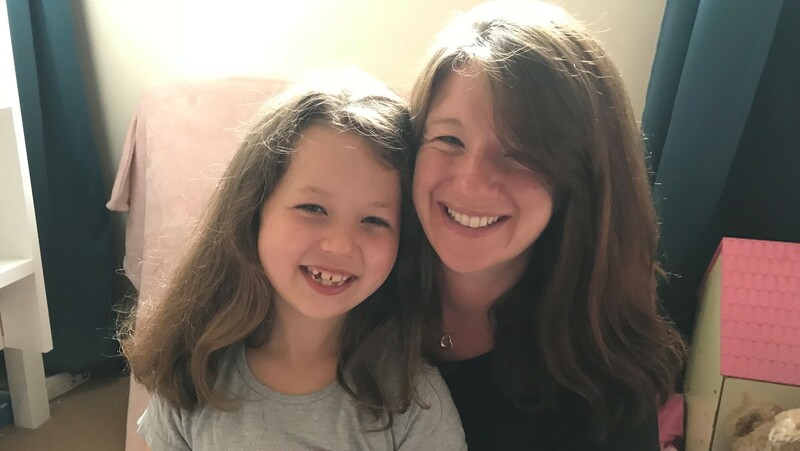 Having been on the Advisory Panel for just over a year, we caught up with Ana to find out more about her experience, and why a parent’s point of view for this research is so important. Why did you join the Cleft Collective Advisory Panel? I have been involved for the past seven years with CLAPA, which provides support for people born with a cleft and their families. I have also been involved with quite a few research programmes in the past, so it’s an area that I’m very interested in. I think it’s important to raise awareness both of scarring and of cleft and to bring a strong parent and patient point of view to medical research. So when I was asked to be involved I agreed. Why is it important to involve people with a lived experience of scarring in the charity's work? It’s also about giving others a voice. My daughter was born with a cleft palate, which isn't very visible. However, she couldn’t hear for three years and it also affected her speech. When people talk about cleft they think lips, instantly - people are not as aware of cleft palates. That’s one of the reasons I got involved in research, to help provide a voice for the children who are under-represented, who still have to go through invasive operations, and have to receive treatment for five, ten, fifteen years. To be my daughter’s voice in a community where they are doing work on our behalf means a lot. By being involved I can make sure that The Scar Free Foundation's research always places the patient first. What does scar free healing mean to you? To me, it means that there is hope for an entire generation ahead of us. The research supported by The Scar Free Foundation is at the forefront of medical science. I didn’t realise how important it is until I became more involved. The whole point with scarring is that you’re not just born with it - it can happen to you at any point of your life. And everyone has a scar, whether it’s visual or not. The Scar Free Foundation's mission statement to achieve scar free healing within a generation - if they can do that and I can contribute in a small way, then that would be phenomenal.